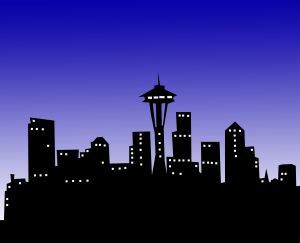 We’re off to Seattle this weekend with our twelve-year old daughter in tow. The trip’s in honor of her, actually–it’s a little tradition we started with our oldest when she turned twelve (almost three years ago!) We’re excited for a little Pike’s Place, a little Pacific Science Center, a little Space Needle, a little mist and rain. It’s big time for small-time folks like us. Any great restaurant/sightseeing suggestions would be appreciated–as you can tell from the list above, we haven’t quite broken out of the tourist scene. Of course, there’s always IKEA, the WalMart of the West Side. Previous Article Hungry for your art. Next Article The human species has evolved from walking to…um, walking.